Because Size Matters: Foot Size Survey | knittyBlog. 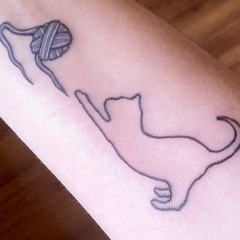 Every knitter should do this. It’s a brilliant idea! “Since foot length is remarkably unrelated to foot circumference – small feet can be wide, long feet can be narrow – telling me your shoe size tells me very little about how big your socks should be. A lot of the time, when designers are creating socks, we’re guessing about how they should be sized. This entry was tagged socks. Bookmark the permalink.